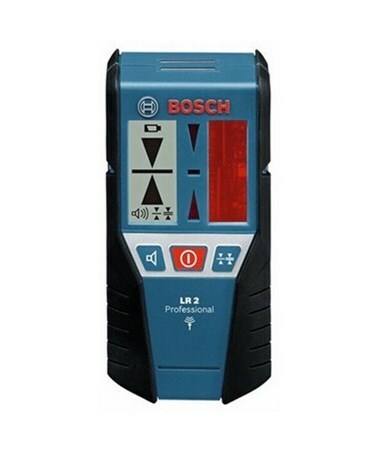 The Bosch LR2 Laser Detector works with the GLL2-50, GLL2-80 and GLL3-50 line lasers. 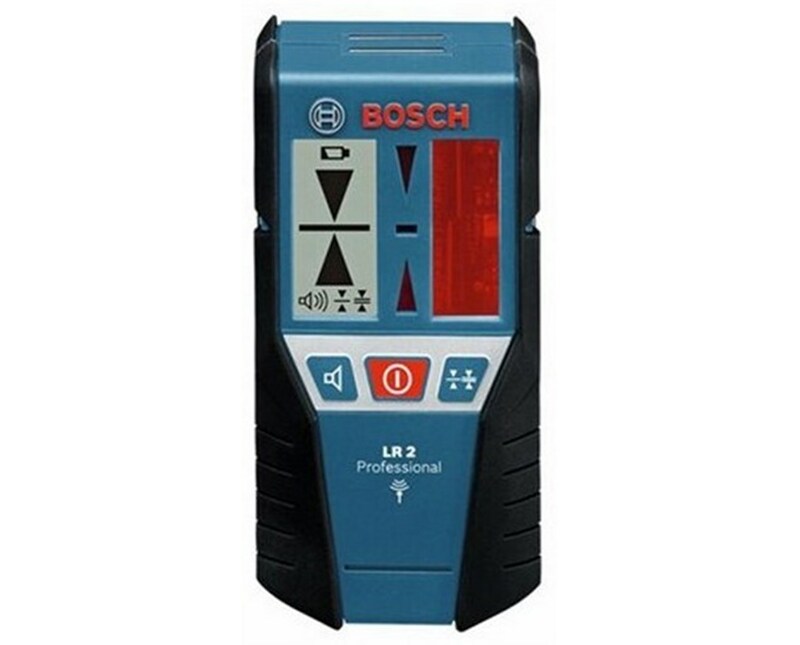 This heavy-duty receiver with soft grip features dual-sided LCD displays as well as easy-to-see LEDs for position indication. It also includes heavy-duty magnets and a mounting bracket for added flexibility. 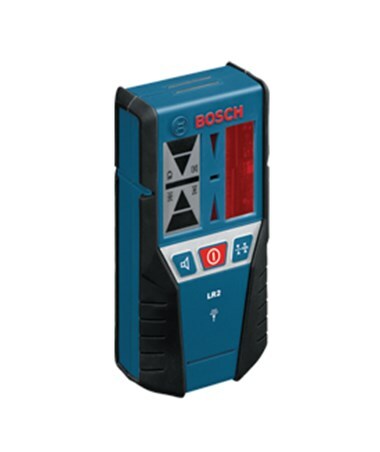 This Bosch laser detector provides two on-grade position accuracies - fine and medium. Indicator lights and audible detection signal with on or off volume for ease of use in various jobsite conditions. 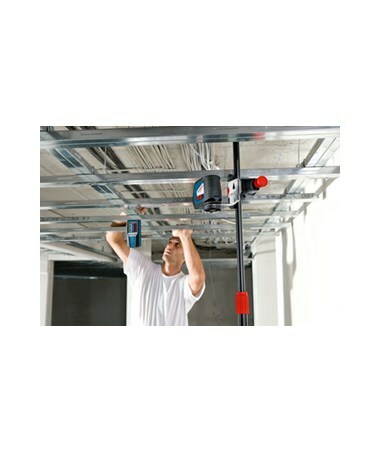 The included mounting bracket provides simple and secure assembly of leveling rod, while the built-in magnets are ideal for suspended ceiling installations. For sure grip and comfort, the LR2 has an ergonomic soft-grip area and an IP-54 rating for protection against dust and water splashes. This laser detector works up to 30 hours using one 9V battery. 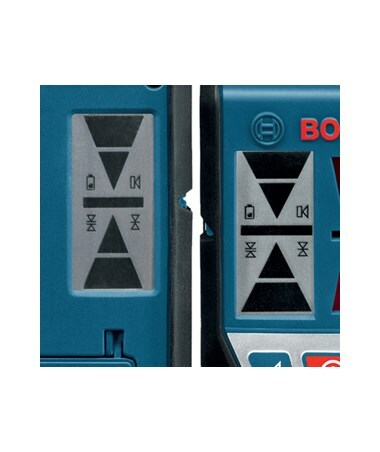 This Bosch line laser receiver package comes with a mounting bracket, 9V battery and 3-year manufacturer's warranty.